Well, that was quick, LG has officially announced its Lifeband Touch, a smart activity tracker that features a comfortable design and is compatible with heart rate monitors as well as any iOS or Android smartphones. It also comes with its own easy-to-use LG Fitness app and is also compatible with third-party apps such as MyFitnessPal, Runkeeper or MapMyFiness. Lifeband Touch comes with an asymmetric and flexible design, providing greater comfort and style than other wearable fitness wristbands. It comes with a touch OLED display to display time, biometrics, incoming calls and music toggles. Beneath that is a 3-axis acceloromenter and altimeter that allows the device to accurate measure the key performance indicators such as distance, speed, number of steps, calories consumed and projected pace. All these information can be accessed with a swipe of a finger, sort of reminds you of the iWatch concept we saw early doesn’t it? LG’s keynote for CES 2014 may be a couple of hours away but it looks like the company has already taken the curtains off something we’ve been looking forward to – webOS powered television sets. According to the Korean company’s press release, webOS will make LG’s TV smarter and a lot easier to use, and will be built around three key features: easy connection, easy conversion and easy navigation. Easy connection will help users with their initial setup of their Smart TV with the help of a little companion called Bean Bird. Easy switching as its name suggest, allow users to easily switch between recently used apps using the cards interface seen on Palm smartphones and finally, easy navigation will allow users to easily discover new content in the LG Store by using voice and even gesture controls. 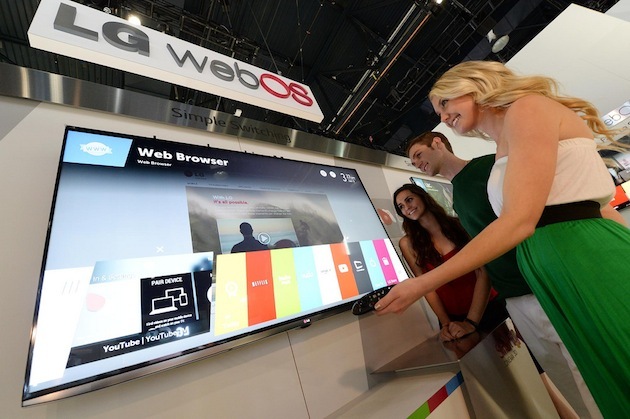 LG says that its webOS TVs will be launched in Korea followed by US and Europe and the rest of the world. 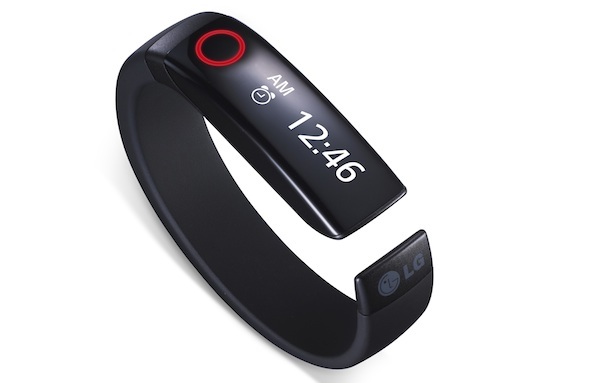 In the same press release, LG also teased that they will show off a new wearable wristband device called Lifeband Touch. It is able to connect with any iOS or Android devices via Bluetooth 4.0 to monitor users’ movement as well as receive information on incoming calls, and toggle the music on your device. LG’s CES 2014 will officially begin at 11AM ET so stay tuned as we keep you updated.